We are very excited to partner with Exclaim.ca to bring you a stream of OLD CHEETAH! A record preview and stream can be found here! In the last couple of years, Canadian songwriter Hawksley Workman has branched out by drumming with his supergroup Mounties and touring his “one-man cabaret” The God That Comes. Now, he’s back to emphasizing his solo career, and with Old Cheetah due out on June 2 through Six Shooter Records, Exclaim! has got the stream of the entire album. The 12-song effort is theatrical and ambitious. Workman’s signature eclecticism shines brightly on songs like “1000 Miles of Atmosphere,” a nine-and-a-half-minute prog epic that’s stuffed with syncopated rhythms, star-dazzled synth twinkles and unpredictable sonic shifts. It’s a lot to absorb, so dive into the ambitious Old Cheetah below. Workman has a series of summer concerts lined up, and you can see those here. You can also pre-order the album here. 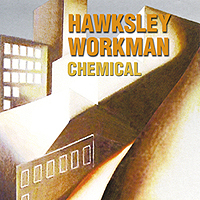 http://hawksleyworkman.com/wp-content/uploads/2018/02/logo_menu-hawksley-menu.png 0 0 Admin http://hawksleyworkman.com/wp-content/uploads/2018/02/logo_menu-hawksley-menu.png Admin2015-05-25 12:02:042015-05-25 12:02:04Old Cheetah! Stream available on Exclaim!